Even if all the necessary infrastructure is approved, it will take several years for 1 billion tonne coal output to be built and ramped up to full capacity. It's easy to dismiss the the government's assertion that India will be able to more than double coal production in the next five years. But that doesn't answer the question of how close they will get. The country will produce 1.5 billion tonnes of coal by the end of this decade, Coal Secretary Anil Swarup told the Coaltrans India conference this week in the national capital. Swarup, the top coal bureaucrat, presented these numbers in a relaxed and confident manner, a stark contrast to previous government presentations at Coaltrans events, which have generally been cautious and fraught with defensive justifications of past disappointments. He still has the problem that nobody believes that state-run behemoth Coal India will be able to double its output to 1 billion tonnes per annum within five years. There is perhaps some more confidence that private coal miners will be able to ramp up their production to 500 million tonnes, but that comes with the caveat that the laborious process for mining approvals is streamlined. 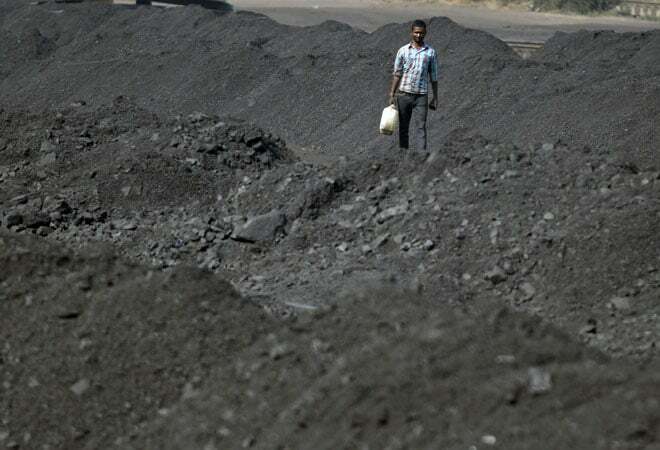 Then there is the challenge of moving all this additional coal output, another area where India has consistently disappointed expectations, given delays to planned rail corridors and the ongoing problem of having to obtain multiple approvals from a raft of central and state government agencies. Finally, it has to be asked where the money is coming from. Doubling coal output and putting in place the associated transport infrastructure is an exercise that will be counted in tens of billions of dollars. What these issues show is the scale of the challenge facing the new government of Prime Minister Narendra Modi, which has responded by changing the tone of the debate from why things haven't worked in the past to what can be done to make it happen. This new level of confidence made the Coaltrans India unique among coal conferences in recent years. It was the first such event boasting what could be called a mood of optimism, as opposed to the doom and gloom that has been pervasive at prior events, as coal miners struggled with the 60-per cent fall in prices since the post-2008 recession peak in early 2011. However, finding anybody who actually believes the country can double coal output in the next five years is almost impossible. But the emerging consensus among industry players is that the balance of risks has shifted in India, and that the pattern of ambitious targets being missed by wide margins may be replaced with results that come closer to actually meeting targets. So, how close can Coal India come to the magic 1 billion tonne mark? The answer is that even if all the necessary infrastructure is approved, it will take several years for it to be built and ramped up to full capacity. Coal India and its subsidiaries said on February 20 that they planned capital expenditure of around Rs 6,000 crore (US $9.6 billion) in the 2015-16 financial year. Add to this money committed to building one of the planned rail corridors, and it's clear that there is action to back the ambitious targets the government has set. This means that it's possible that by 2018 or 2019, Coal India may well be able to boost output by another 200-300 million tonnes. While this is short of the target, it would still be a substantial boost to current output of around 500 million tonnes. So, where does this leave coal miners in Australia, Indonesia and South Africa that are pinning their hopes on India to replace China as their growth market? Probably not as badly off as they may fear. The additional domestic output, assuming it is delivered, will not be coming in meaningful volumes until at least 2017. It is likely that for the next two to three years, domestic coal demand growth will exceed the expansion in domestic output, meaning a growing gap that imports can step into. After that, domestic output may grow at a faster pace than overall demand, meaning slower growth for imports. However, the idea that the country can do without coal imports altogether is likely to remain fanciful for at least another decade. Domestic coal imports were 17.94 million tonnes in February, 31-per cent higher than the year-ago period, according to coal trader mjunction. India is the world's second-largest coal importer, and if imports rise in 2015 by the same 19 percent that they did in 2014, it's likely that the South Asian nation will start to close in on top importer China. Overall, the picture that emerges is that India is taking concrete action to increase its coal output, but the government's targets are still too heroic. These means imports have scope to grow at a decent clip for the next few years, and then growth may taper as domestic capacity comes on stream.